Keyless locks on your doors can be installed as a brand new locking system or integrated into current house automation technologies. Before you can fully determine which one is right for you, you need to first understand the different categories and styles of keyless locks as well as their advantages and disadvantages. What style of keyless lock do you want? Is a deadbolt necessary, or a typical latch system desired? What type of doorway will the keyless locks be used on? Would you like to control the keyless locks with a remote? Do you want the keyless locks to operate on electricity, on battery, or both? How many people will be using the keyless locking system? What level of security are you needing to uphold? Do you want passcodes, fingerprint scans or retina scanning? Will you be using the keyless locks on childcare or assisted living facility which will require locks to be triggered if a child or patient with Alzheimer attempts to leave? Will the keyless locks be used outside, requiring weatherproof features? 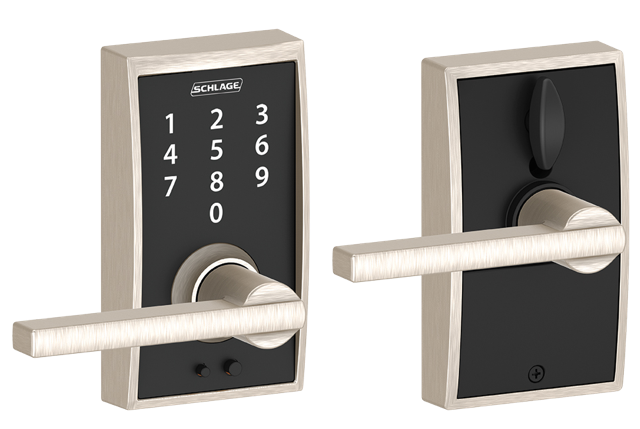 Mechanical – These mechanical key-less locks allow entry without the need of electricity. They require pass codes and work well when multiple access codes are not a necessity. 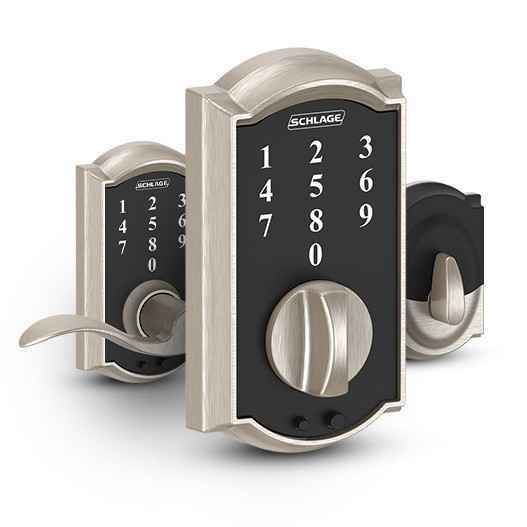 The mechanical keyless locks are designed to be weather-resistant and durable, often made of stainless steel, which all make the mechanical keyless locks a great option for exterior use. Electronic – Electronic keyless locks require electricity, and usually a AA battery as well, to function properly. They might have a simple push button, or require complicated pass codes or scanners. The electronic keyless locks are a great option for both residential or commercial use. Remote – Remote keyless locks comes with an electronic key fob or other wireless device. Biometric – Biometric locks are equipped with scanners which identify fingerprints or retinas of the eye to determine who is given access. Simple biometric locks require a battery to operate. Complex biometric keyless locks are sometimes hooked up to a computer server to acquire data and place it on a server where you are able to store and manage the information. These are typically used where higher levels of security are needed or desired. When you talk about a style of a lock, you are not usually talking about mere aesthetic or cosmetic qualities of how it looks but rather, how the lock works along with the system that secures them in place. Single-sided – A single-sided lock requires access codes from the outside only. To open or lock from the inside of the door, you manually turn the knob. Double-sided – A double-sided lock requires access codes or a fingerprint or retina scan from both the inside and the outside of the door. Deadbolt – The deadbolt style of lock provides an added bar that is turned and set into place for extra security in the lock. On keyless locks, the deadbolt is often on the inside of the door locks. Electronic Deadbolt – The electronic deadbolt lock style works similarly to the regular deadbolt, but will require you to enter a passcode or to scan your fingerprint or retina for it to open. Call and discuss your keyless locks needs with a qualified Gilbert locksmith technician who will be able to recommend which one is best for you.